DEF LEPPARD. 2017 REMASTERED EDITION. Don't Shoot Shotgun. Gods Of War. Armageddon It. Seven Angels. Easy On My Soul. Common Mortal Man. Muddy Water. Travellin' in Style. Wishing Well. Guardian of the Universe. Little Bit of Love. Twenty One. The Rebels. The Concept. Dying in the Sun. Free to Decide. When You're Gone. Dying Inside. Never Grow Old. 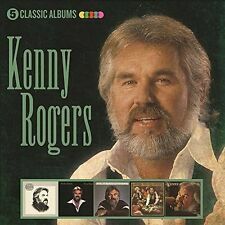 KENNY ROGERS. 5 CLASSIC ALBUMS. Rock And Roll Man. 5-CD ALBUM SET. While I Play The Fiddle. Till I Get It Right. There's A Lot Of That Going Around. Tennessee Bottle. Any combination of 7” & LP vinyl up to a massive 20 kilos for only £10.00. That is a serious amount of stuff (nearly 300 7” for example). Released - 2015. 10 –Survivor Eye Of The Tiger. 2 –House Of Pain Jump Around. 13 –Vic Reeves / The Wonder Stuff Dizzy. 4 –Wild Cherry Play That Funky Music. If the condition is listed as "New & Sealed" the item is in it's unopened factory seal. STATUS QUO. ‘If You Can’t Stand The Heat’ is one of Status Quo’s finest albums – originally released in 1978 it was a top 5 hit and contains the classic ‘Accident Prone’ as well as live favourite ‘Again and Again’. THE JOSHUA TREE (2007 Remastered Edition). One Tree Hill. Bullet The Blue Sky. Mothers Of The Disappeared. In God's Country. Running To Stand Still. Trip Through Your Wires. I Will Follow. Save The World. The Letter. SONGS OF EXPERIENCE. Get Out Of Your Own Way. The Little Things That Give You Away. Love Is All We Have Left. Various : Tango Royal CD (2009)Title: Tango Royal Artist: Various Genre: Classical|World Format: CD / Album Type: CD No. of Discs: 1 disc(s) Studio / Label: TBC Limited UK Release Date: 19 Jan 2009. Disc 1 11 Adios Nonino. 5 CLASSIC ALBUMS. 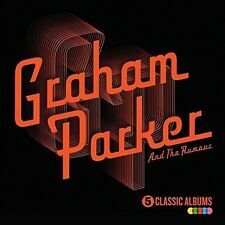 5-CD ALBUM SET. King Of Rock And Roll. Rock 'N' Roll Children. Like The Beat Of A Heart. Caught In The Middle. Stand Up And Shout. THE LAST IN LINE. SONGS OF EXPERIENCE. 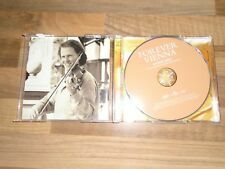 DELUXE CD ALBUM. Book Of Your Heart. Get Out Of Your Own Way. The Little Things That Give You Away. Love Is All We Have Left. THE LOVE SONGS ALBUM. 1-13 – Five. How Deep Is Your Love. Two In A Million. 1-14 – Take That. I Have A Dream. From The Heart. One By One. Album title: Forever. Who Wants To Live Forever. Year of release: 2008. Condition: CD in Ex. Looks almost like new. Hearts Of England. Panis Angelicus. Nessun Dorma. We pride our selves on making sure the item you receive is at its best. We recyle 99% of our waste. The DVD hasn't been tested. VERY GOOD CONDITION "APOCALYPTICA" BY APOCALYPTICA. BETRAYAL/ FORGIVENESS. The cd has been played and listened to before put up for sale. ORIGINAL DVD IN EXCELLENT CONDITION. Back In Baby's Arms. Your Cheatin' Heart. Just Out Of Reach. I Can't Help It. Crazy Arms. More details. When I Get Thru With You. ARTIST: THE ROLLING STONES. TITLE: ROLLED GOLD . Compilation Discs. 1-6 – Spice Girls Viva Forever. Popular Loves Songs. In perfect play condition. 1-2 – S Club 7 Two In A Million. 2-18 – Bee Gees For Whom The Bell Tolls. 1-14 – Take That How Deep Is Your Love. RONAN KEATING. Keep It Simple. Shine Like Gold. 7, Landslide. Released on Universal Music Classics and Jazz with catalogue number 4766493. [In all instances I will use bubble wrap outer envelopes]. THE ROLLING STONES. It’s All Over Now - The Joe Loss Pop Show, 17 July 1964. Around And Around - Top Gear, 23 July 1964. The Spider And The Fly - Yeah Yeah, 30 August 1965. You Better Move On - Blues in Rhythm, 9 May 1964. AQUOSTIC II : THAT'S A FACT! STATUS QUO. A FULLY ACOUSTIC ALBUM FEATURING. That's A Fact. One Of Everything. THEODORE It Is But It's Not ( Thodoris Polichronopoulos). 8 It Is But It's Not. 3 Do You Know How To Fall?. 5 The Waltz. 4 Chronos. 2CD ALBUM SET. THE WHO HITS 50. Squeeze Box. 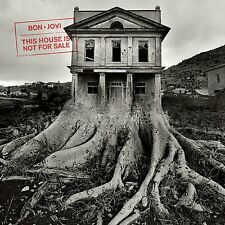 Won't Get Fooled Again (Single Edit). Join Together. Released To Celebrate The Band's 50th Anniversary. Who Are You. Don't Let Go The Coat. THE GOLDEN AGE OF ROGER WHITTAKER - 50 YEARS OF CLASSIC HITS. Dirty Old Town. New World in the Morning. GENUINE & ORIGINAL CD. The Last Farewell. A Special Kind of Man. The Skye Boat Song. The Best I Can. Yanni - One Man's Dream. Vangelis - Chariots of Fire. Now We Are Free (From 'The Gladiator'). Lemon Jelly - Spacewalk. Sacred Spirit - Yeha–Noha. Moby - Why Does My Heart Feel So Bad?. Fleetwood Mac - Albatross. Did That Hurt?. by Skylar Grey. 2:51 Album Only. by Frank Sinatra. 3:46 Album Only. by Beyonce. by AWOLNATION. DREAMBOATS AND PETTICOATS. GREAT CONDITION. 52 TRACKS 2 CDs ALBUM SET. THE CDs AND INSERT ARE IN NEAR MINT CONDITION. IN OTHER WORDS THE QUALITY OF WHAT YOU SEE IS WHAT YOU WILL GET. HOWEVER, I'M SURE YOU WON'T BE DISAPPOINTED. BUY NOW IF YOU FEEL YOU WOULD LIKE TO OWN THESE CDs. 5 out of 5 stars - DREAMBOATS AND PETTICOATS. GREAT CONDITION. 52 TRACKS 2 CDs ALBUM SET. 20 product ratings20 product ratings - DREAMBOATS AND PETTICOATS. GREAT CONDITION. 52 TRACKS 2 CDs ALBUM SET. Aquostic II – That’s A Fact! and One Of Everything. Status Quo - Aquostic II – That’s A FactCD Universal Records Catalogue Number 5702678. That's A Fact. Insert EX. One Of Everything. Living On an Island. 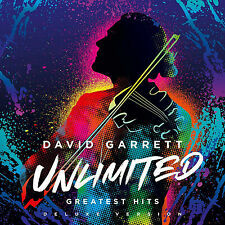 Released by Universal on its UCJ label in November 2007. [In all instances I will use bubble wrap outer envelopes]. Beautifully recorded and cinematic in scope, ‘Songs From Before’ once again carries a pensive, emotionally resonant tone. Autumn Music 2. Autumn Music 1. The disc is in excellent condition. THE MUSIC OF NASHVILLE. Sleep Tonight (A Lullaby) - Chris Carmack, Jonathan Jackson. Plenty Far To Fall - Clare Bowen, Sam Palladio. THE ALBUM HAS BEEN PRODUCED BY BUDDY MILLER. History Of The Heart - Jonathan Jackson. Georges Bizet : Words for You: The Next Chapter CD (2010)Title: Words for You: The Next Chapter Artist: Georges Bizet Genre: Classical|Compilation Format: CD / Album Type: CD No. 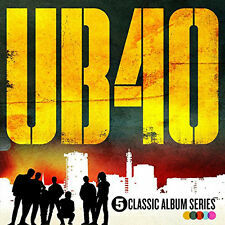 of Discs: 1 disc(s) Studio / Label: Island Records UK Release Date: 08 Nov 2010. Artist: John Martyn. Format: CD. Head & Heart. John Wayne. Man in the Station. Title: Very Best of. Condition: New. Rock Salt & Nails.